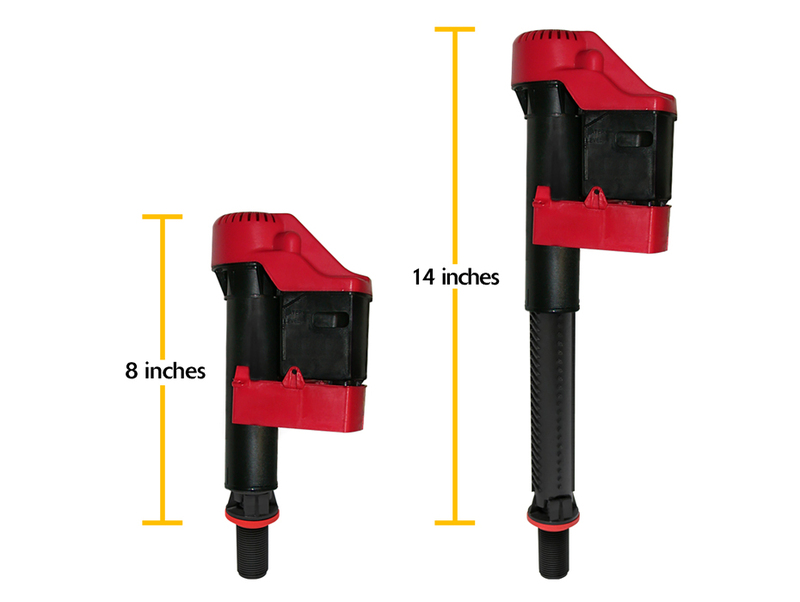 Fill valve adjusts from 8" to 14"
Designed to minimize costly water loss, the WaterWI$E Fill Valve is the only dual shut-off fill valve that detects flapper leaks and hang-ups. 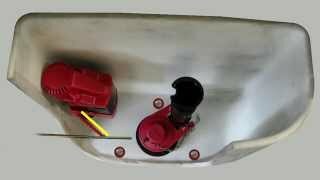 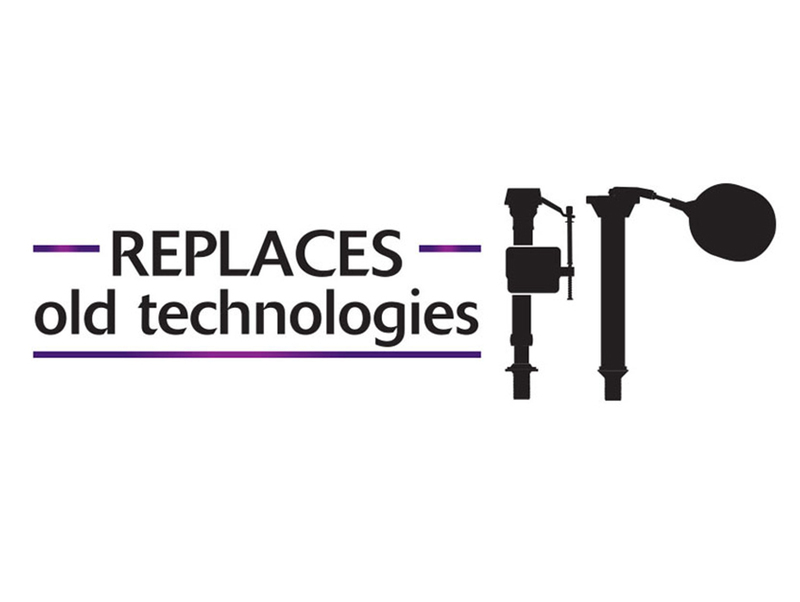 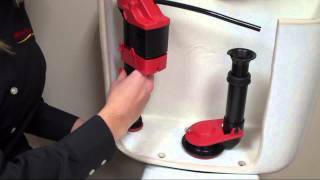 Saves water due to leaks by not refilling the toilet tank during a slow flapper leak and automatically shuts off if flapper is stuck open. 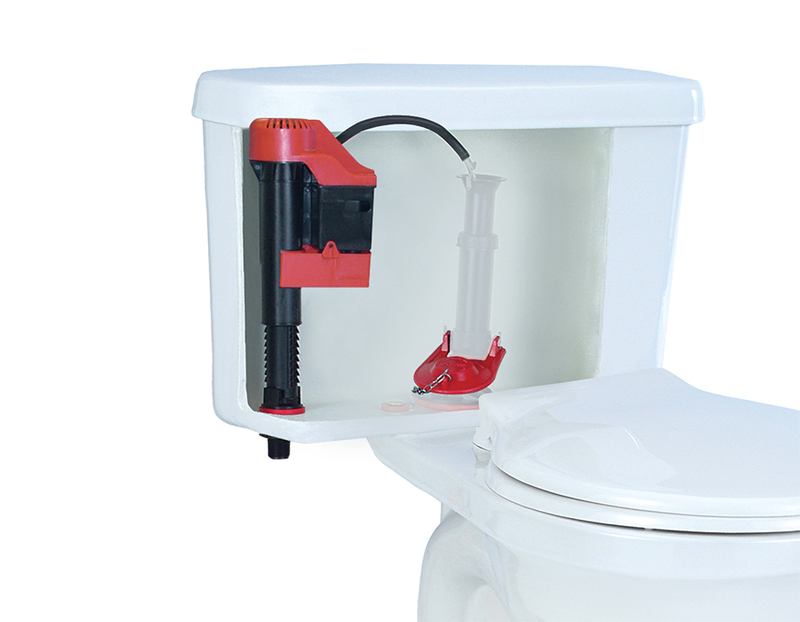 Designed to fit more toilets, this toilet fill valve adjusts from 8 inch to 14 inch, fitting large and small tanks. 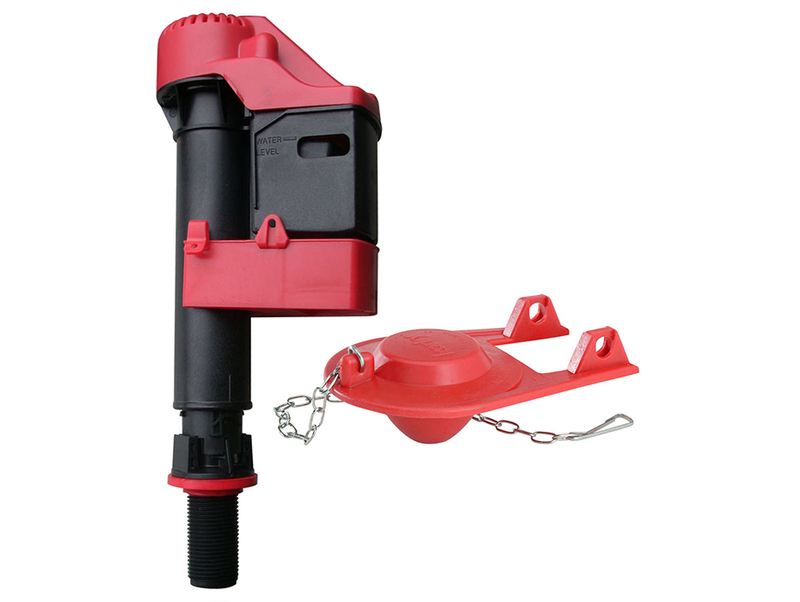 The WaterWI$E Fill Valve is quieter than other fill valves. 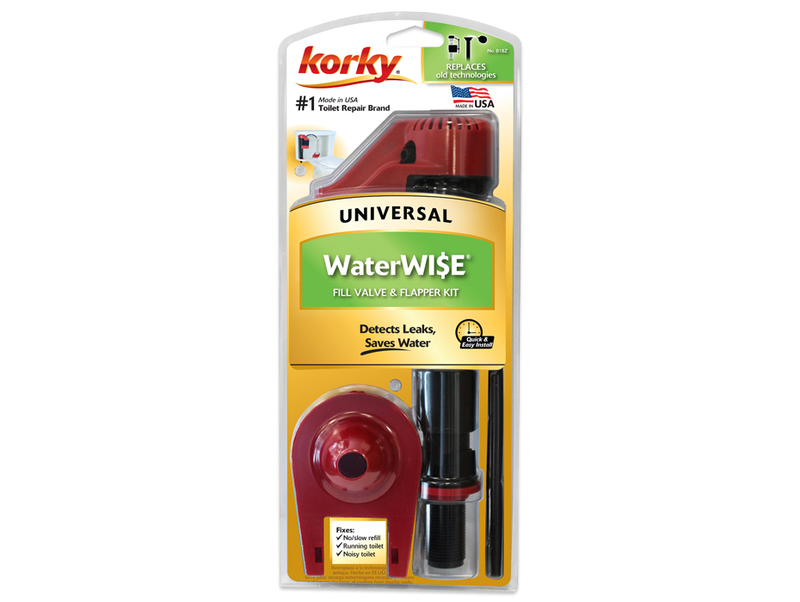 Included in the kit is the Korky Plus 2 in. 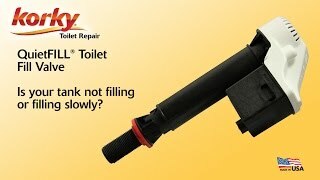 toilet tank flapper. 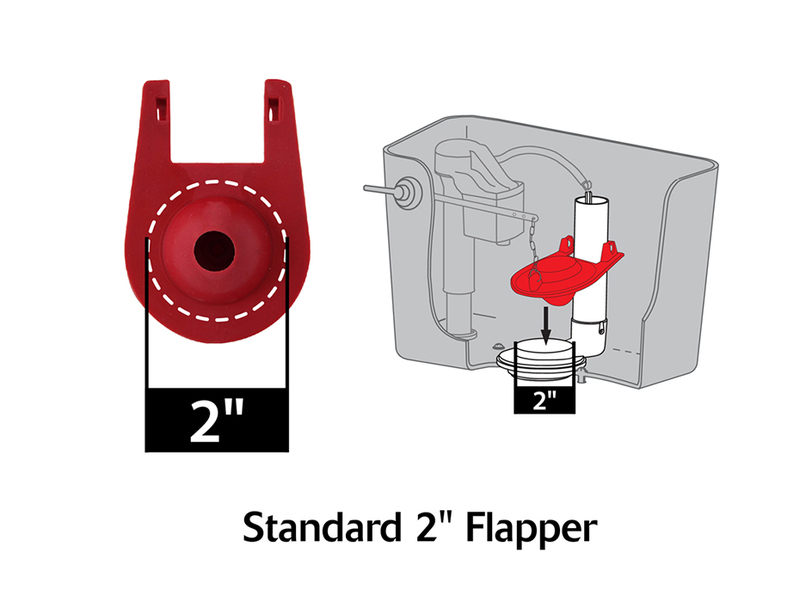 The universal flapper is constructed from durable rubber and offers chlorine resistance. 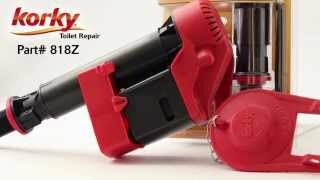 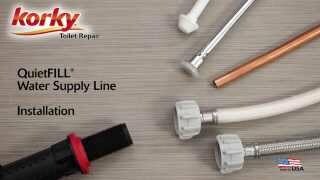 Easy to install, the 818Z toilet repair parts include: (1) 528Z Fill Valve, (1) 2001 Toilet Flapper, (1) Refill Tube, (1) Metal Refill Tube Clip, (1) Mounting Nut, (1) Cone Washer, (1) Coupling Nut, (1) Tamper Proof Key and (1) Instructions.